The beautiful Sofia, stretching her wings on the red biro from which she was suspended. She was transferred to this Asian maple tree on the morning of her emergence after the chrysalis became noticeably darker. 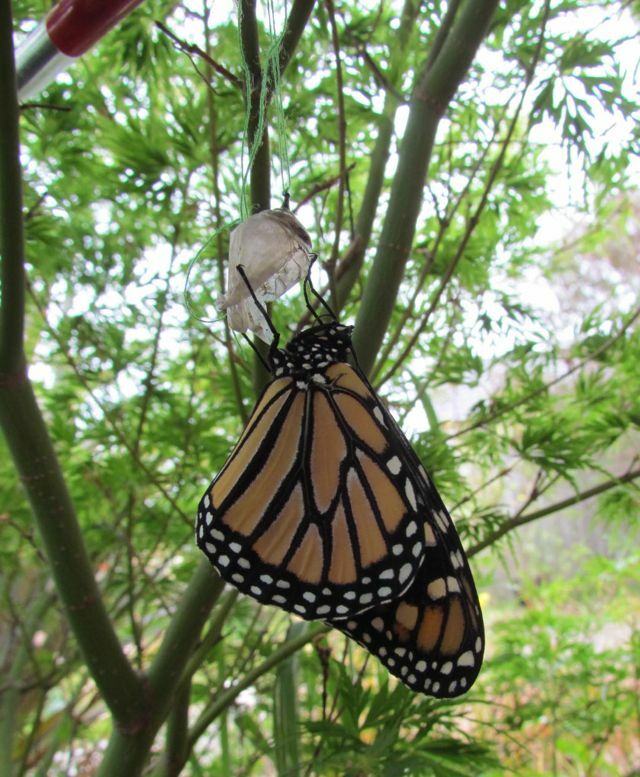 Well, readers will be pleased to know that Sofia emerged from her chrysalis, “small but perfectly formed”, right on cue – ten days after she disappeared into her chrysalis (see: Little wonders (of nature) and Nature’s capacity to surprise). 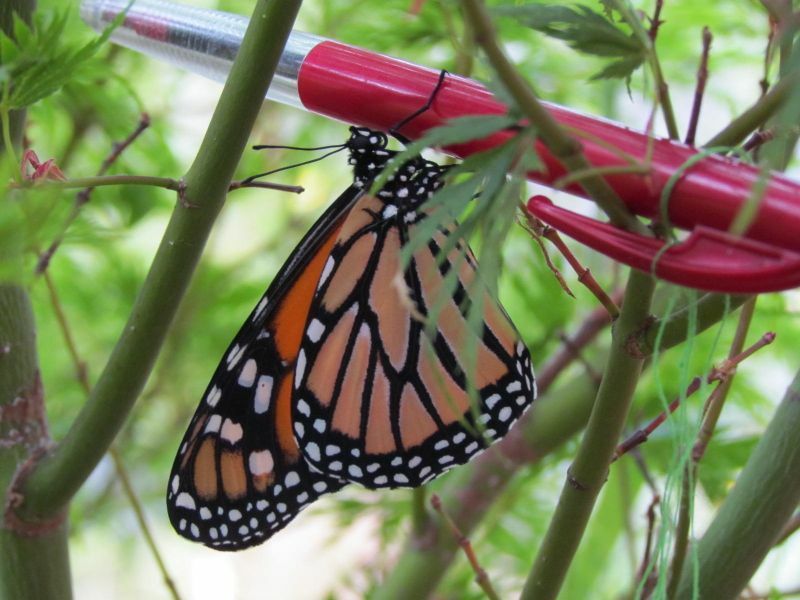 Thank you to the Bluenosegardener for their advice to suspend Sofia up with cotton to enable her metamorphosis. This I did, suspending her chrysalis from a biro, following the advice on the New Zealand Monarch Butterfly Trust website. I also happen to know, based on the diagrams found here, that Sofia is indeed a lady butterfly. (Ladies have darker black borders between their orange pattern segments than males, and males have distinctive spots, which the ladies lack.) We are hoping that she returns to deposit eggs on our swan plants, currently bereft of any sign of the next generation, so that we can enjoy witnessing this magical transformation once more. Previous Article Cursed weed or New Zealand’s own Christmas tree?